Monopyle currently comprises 22 described species with many new species existing throughout central and northern South America that have yet to be described. The genus is distributed from Guatemala southward into southern Peru with many of the species being endemic to particular areas. 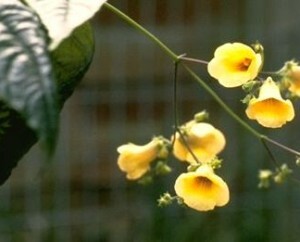 They can be distinguished by the presence of anisophyllous leaves, bell-shaped flowers, and uncinate (hooked) trichomes. A few (often unidentified) species are in cultivation; it seems likely some will prove to be good horticultural subjects.